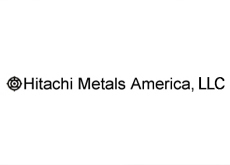 Hitachi Metals America, LLC | Network Directory : Hitachi in the U.S.A.
With 5 sales offices, 7 manufacturing subsidiaries and R&D facilities around the United States, Hitachi Metals America, LLC is world renowned for steel-related and magnetic products, as well as electronic materials. Hitachi Metals America, LLC offers a range of products: castings, electronic materials, cable systems, sensors, and cutting tools. Our product offering also includes IT components, power supply components, and CRT and panels displays.